Well it was a wonderful 12 months adding some life and art to the back room at Good Eddy, and now we're off as the space takes on some new life again. It's been a fantastic time and we'd like to thank all the wonderful artists who we had the pleasure to exhibit. Each artists is featured in the grid above and includes some of our favourite artists who had never exhibited in Australia before. Thanks again you everyone who visited and supported us and the very welcoming Orange arts community. 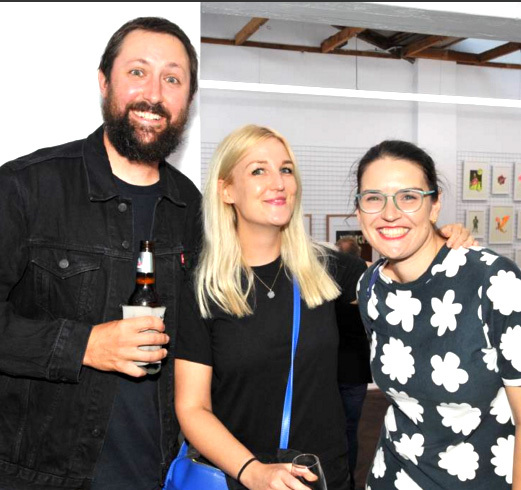 Here are some images of happy faces from our last opening night "Technical Ecstasy" by Chrissie Abbott and French (taken by Jude Keogh) interspersed with a few Vince Lovecchio was kind enough to come in and snap of the exhibit, on our last day. We're delighted to have artists French and Chrissie Abbott here in town, installing their show "Technical Ecstasy", which will be launching at Ludlow this Friday (March 17) at 6PM. You will want to check it out. 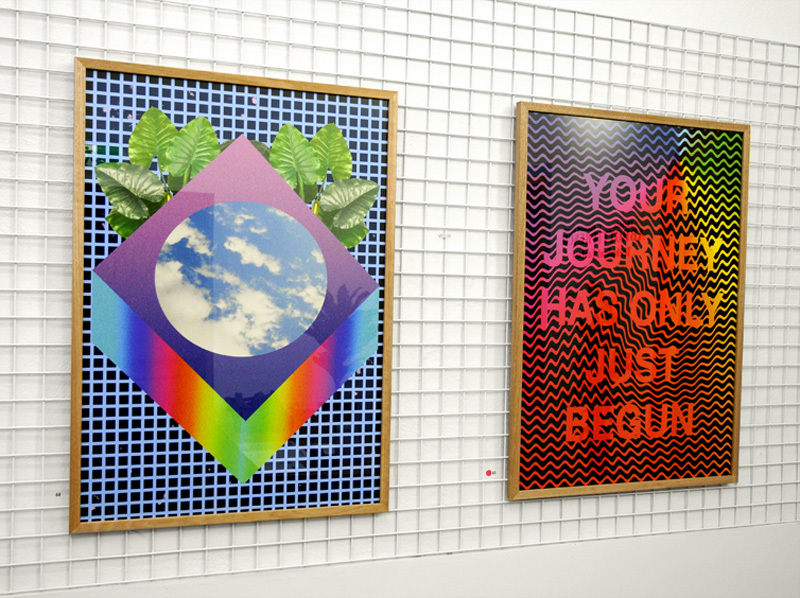 Chrissie Abbott has blown us away for many years now with an impressive collection of work - from mesmerising animated gifs to hypnotic illustrations and print designs for various fashion labels, her work creates a dreamlike universe full of flashing bright imagery and catch-phrases. Her client list is also what I would describe as "off the wall bananas" - including ASOS, Adidas, Nike, Vans, The Barbican, The New York Times, Wallpaper* andUrban Outfitters. We asked Chrissie what one of her favourite previous exhibitions has been, and there have been many, all over the world. And it turns out she is super fond of an installation exhibition from 2012 in Jaguar Shoes, London. If you're familiar with Jaguar Shoes you will know that this Shoreditch institution (bar and exhibition space) has launched a slew of wonderful music, art installations, products and events over the years and Chrissie has collaborated with the collective not only with exhibitions but also on products such as a range of porcelain (plates and mugs). With cats on 'em! Join us at 6PM this Friday to see what wonders Chrissie and French have brought to Orange. This will also be the last show at Ludlow in its current format, and not to be missed! This Friday(March 17) at 6PM we'll be launching "Technical Ecstasy" - a joint exhibition by Chrissie Abbott and French (Richard Sayer). I'll say it again - we are HUGELY excited and proud to have this here in Orange. Both these artists have been thrilling us for years with their individual approaches that take us into alternate realities, both dark and haunting and freakishly joyous. To get you in the mood for Friday we thought we'd share some recent memorable exhibitions or projects that both have created over the years. We'll start with French, and frankly it's hard to pick just one exhibition. He's had solo shows in Perth, Melbourne, Sydney and Brisbane as well as Tokyo, Long Beach CA, Los Angeles, London, Brooklyn, Amsterdam, Stockholm, Edinburgh, Manchester - the list just goes on and on. 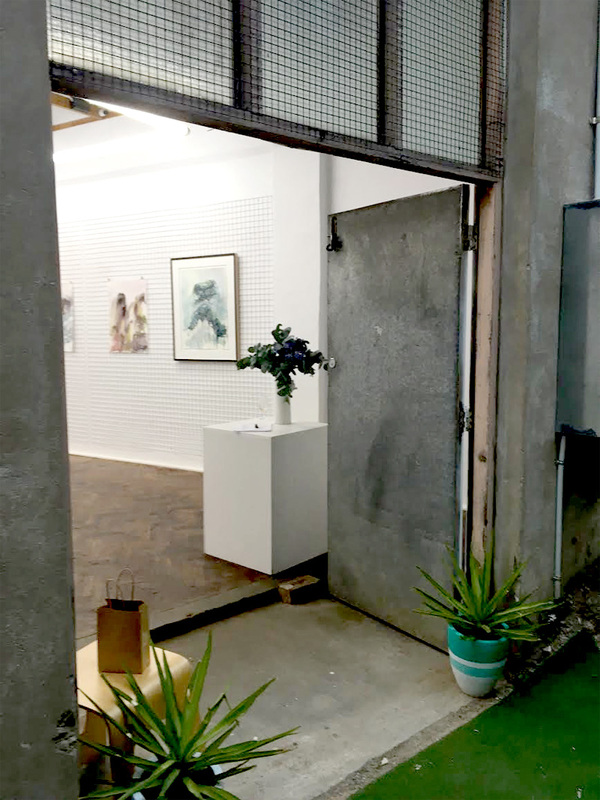 He curated the incredible "Close To A World Below" show at Scion Installation in LA in 2011 featuring artists such as Ashley Lane, Marcus Oakley, Chrissie Abbott, Derek Albeck, Murdoch, Paul Parker and Izzie Klingels. 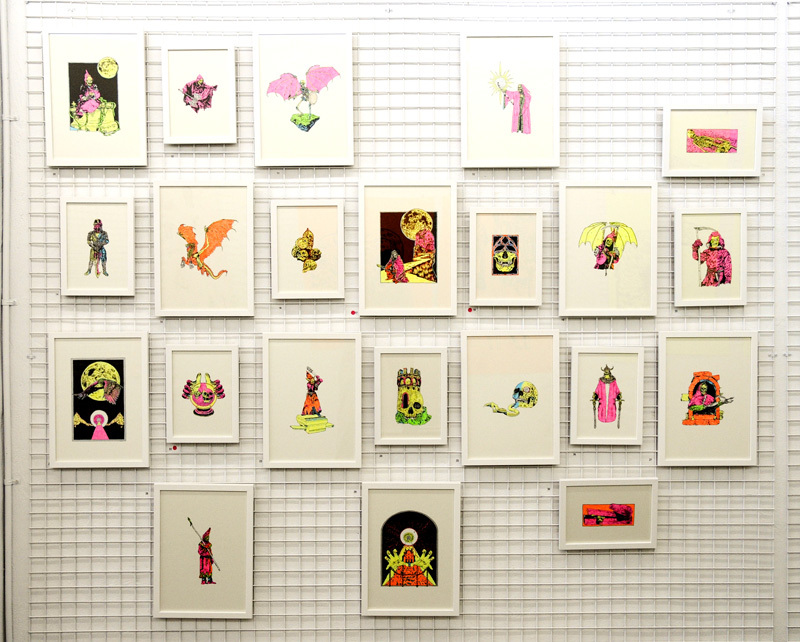 But his recent show "Brainfade" at Backwoods Gallery in Melbourne really blew us away with its fluro renderings of scenes from French's medieval, metal infused universe. Oh, and see you Friday! Happy Valentines Day! Here's a gift from us to you - a square of ecstatic static, a notice of our March exhibition - "Technical Ecstasy", featuring two of our favourite artists and human beings, Chrissie Abbott and French (Richard Sayer) ! We are so excited to see these guys exhibit together in our space. Head over to the show page for more info on both. Sonny Day "Resumé" continues on in the gallery for a couple more weeks - head in to catch an overview of what he does when not curating Ludlow, and get ready for Chrissie Abbott and French to slather the walls in some exciting work on March 17. 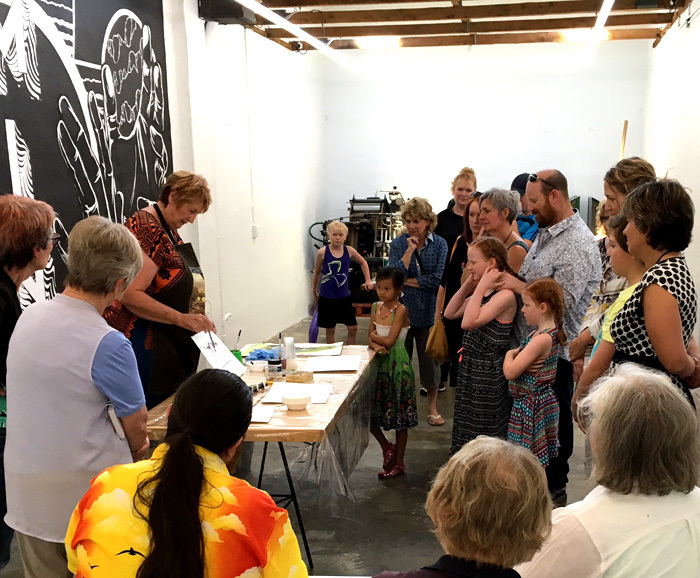 On Saturday we were treated to a fascinating talk and demonstration in the workshop, from artist Joy Engelman, as part of her current show at the gallery, "Flow". 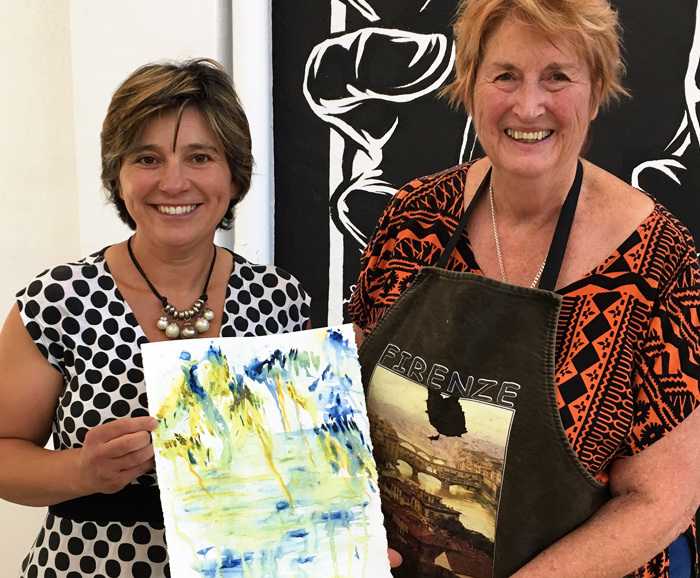 Joy's insights into the making of her recent work and her demonstrations of multiple techniques she used to create such vivid artworks was enjoyed by young and young at heart alike. Thanks for your time and sharing your knowledge Joy, it was a wonderful afternoon. Thanks to everyone who came out in the scorching heat to join us launching the wonderful exhibition "Flow" by Joy Engelman. We only grabbed a few quick snaps just before kick off at 6, (added below) but if you head to our Facebook page we've shared a great set of photos John Kich took on the night. We have a very quick interview on our site - here - which will give you a little insight as to the concept and practice behind these works. Hi Joy, please tell us a little about how you started this new body of work. Over recent years I have been out in the desert a few times each year and have been inspired by the way the deep red ironstone rocks have left huge watercolour washes over the white kaolin sands as they erode. As I’ve sat and watched and looked and pondered, I have been struck that these markings can be seen as a metaphor for our lives for in a similar way, our characters are also shaped by time and the washing out of emotions, often with tears, as the hardness of obstacles and difficulties are eroded away with each day. It was this metaphor that I wanted to explore in paint and paper to see if I could evoke images that spoke of this. Hence these images. What do you think was the most interesting discovery during the creative process of "Flow"? My own life is getting towards the pointy end now with each passing year and although this brings it’s own daily difficulties, the slowing of the body also brings with it time to think about life itself and what it might mean. While I painted away quietly in the studio finding meaning within each image, deciding what colours and mediums to use, what accidental marks to leave and which to enhance, I felt a quietness and acceptance slowly happening within myself. I became more comfortable and accepting of myself and my own past obstacles and erosions of the soul. Can you tell us about your work space? I rent a small studio within the Barracks along with several other artists, a space that means I can leave a work and materials just laying about until I feel the need to return and work again. It is a luxury I haven’t had for a very long time, a space I have longed for. The studio is quiet most days as artists may come and go within the building but we allow each other peace and quiet to do our work. It is wonderful to be able to know that others are like-minded and respectful. It’s a little factory with all the makings of art, paints, papers, canvases, brushes,cutters, special effects, all the detritus of an art’s life lying in wait to be sorted, loved, painted on. Every artist needs a space! Do you admire any contemporary artists working today? I prefer experimental artists who work in new media and tend to lean towards artists from overseas like Gerda Lipski from Austria and Stan Kurth from Arizona. At the biennale I made friends with some amazing artists who I keep in touch with, Charlotte Lugt from Holland, Tito di Pippo, a Puerto Rican now living in Miami and Suly B Wolf, a Brazilian artist now living in Israel. There were many others at that event who changed the way I see image making. The digital world we live in has brought us all closer than ever and inspiration is so readily available from everywhere now that for me, I feel it is time to explore, reach out, extend ourselves from the confines of Australia. The world of art is so large, so expansive, so full of wonder that it is bursting….. it is amazing! What's the future hold now that you’ve finished creating "Flow"? These next few years, I will be very busy finding venues to exhibit the Wild Women of Arkaroola PLUS, my group of desert artists so not sure where my own art will take me personally. I am sure the studio will wait patiently for me to feel the desire to put brush to paper and explore new ideas…. I’m always open to a new adventure either in life or in art so…. hey! That’s it! Thanks Joy! We hope to see you all at the opening of this great show, this Friday (13th Jan 2017) at 6PM, 187 Lords Place. We have loved discovering the work of Amir Shabanipour through the upcoming exhibition 'Birds Of A Feather' which has been put together by Dirt Lane Press and opens here this Friday at 6PM. A painter and illustrator living in Rasht, Iran, Amir initially studied Graphic Design and we can see that strong graphic sensibility in all his works. He has a very unique approach to composition on the page and you can get lost in the architectural details and small figures that inhabit his wonderful complex designs and juxtaposed patterns. Join us on Friday to see Amir's work up close in a range of stunning limited edition prints. Illustrator, writer and poet Hoda Hadadi creates the most beautiful collages, balancing extraordinarily delicate materials and textures with a deft graphic compositional style. She layers gauze papers, stitches, pencil and paint to create images that have illustrated 50 books, published in Iran and around the world. We are thrilled to have prints of her work included in "Birds Of A Feather - Illustrators of Iran", curated by Dirt Lane Press. Join us 6PM Friday November 11 to launch the exhibition and take in more of this fine illustration. Image © Hoda Hadadi, collage. We are quite in love with the stylised, inky illustrations of Alireza Goldoozian. He is one of a collection of talented Iranian illustrators curated into the upcoming exhibition "Birds Of A Feather" by Dirt Lane Press. Born in Tehran in 1976, Alireza has won many awards including the Grand Prix at the 2005 Biennale of Illustrations of Bratislava for his work illustrating for children and young adults. The images below are taken from the book "So Much Noise" or "What A Racket", a tale by Sarvar Katbi about a soup-selling goat and a nagging tree! Join us Friday November 11 to launch "Birds Of A Feather" and explore more work from this wonderful artist, plus many more. It's our final day of Scapes and thanks to all the people who have come in and made it one of the busiest days of the four week show. Here's a final look at one of our favourite artists from the show, Elise Hurst, who creates awe-inspiring vintage alternate realities in the 50+ books she has illustrated and fine art prints. She also took time to answer our questions. Thanks Elise! What is the first drawing that you remember doing? I know I drew all of the time but I remember copying Durer's engraving of "Knight, Death and the Devil" one summer holiday. I was quite young and the horse ended up a bit like a long hippo but it was a labour of love, and how it turned out didn't really matter. Was there a special book for you growing up, and what was it? It was all little pieces of a puzzle - an EH Shepard illustration of Eeyore or Piglet and Pooh looking for Heffalumps, the flower fairies of Ida Rentoul Outhwaite, Bluebeard illustrated by Edmund Dulac, Norman Lindsay's satyrs, 30s adventure chronicles... I remember fragments and they are still burned into my mind. How does it feel to excite young minds and do you consider yourself as a child when creating your images? When I created "Imagine a city" I wondered and worried about whether it would make any money or not. It had, after all, taken four times longer than any other book I'd ever done and this is my only job. Then I had the realisation that I would have loved this book as a kid. I decided then that it was enough to have created something I genuinely loved and felt really proud to have brought into the world. How does your work keep you young ... or doesn't it? I create for myself and it is part of my job to engage with my inner child. I think that is so healthy - mostly because our childhood is full of possibility and sometimes we need to be reminded that there are options in our lives. All too often we seem bound to a path and forget that we willingly turned down it. Engaging with your inner child, using your imagination, realising the value of time spent in frivolous, happy pursuits is something that we too often neglect. Imagination is not just about flying fish and alternate realities, it is also a useful tool to changing life for the better and taking a chance to realise your dreams. But it takes practise and engagement. I love to watch people becoming lost in a strange image and hear the stories that leap from them. There is an energy that radiates from them which is beautiful. What was the experience seeing your work published in a book for the first time? It never ceases to be exciting. People say that you "made it" when your first book is published, but it is really just the first step on a long adventurous path. Can you let us know what's currently in your CD player/ on your Turntable/ in your Spotify queue? Emile Simon for magic, the Fratellis and Furbelows for energy, the soundtracks to Amelie and The Piano for the long journey of a difficult work. International chairs, when I was under four years old. The chairs were simple figures resembling number 4, and what made them ‘international’ was that they consisted of multicoloured stripes as in flags of many nations. I was an avid reader from very young. My childhood coincided with the era when the illustrations in many, if not most books, were still those from the Golden Age of Children’s Book Illustration. Any book with such wonderful illustrations was a special book for me. I create images that I find pleasing to myself at the time of creating them. If instead I try to please others I fear my illustrations would become forced and lifeless. I aim for honesty and it is a great bonus if others find my illustrations pleasing as well. I believe any mental activity keeps one’s mind young. And as for the body, I mostly paint standing up for hours at the time. I started very gradually. My first published work were small black and white illustrations in school textbooks. Nonetheless I felt a sense of achievement when I finally graduated to “real books”. “Guns, Germs and Steel”, an audiobook by Jared Diamond – seriously. Be sure to catch Ritva's fantastical imagery in Scapes, last day tomorrow (Sat 18 Sept). Collins Bookstore also stock books she has illustrated including The Nutcracker by Margerete Lamond and The Selfish Giant by Oscar Wilde. 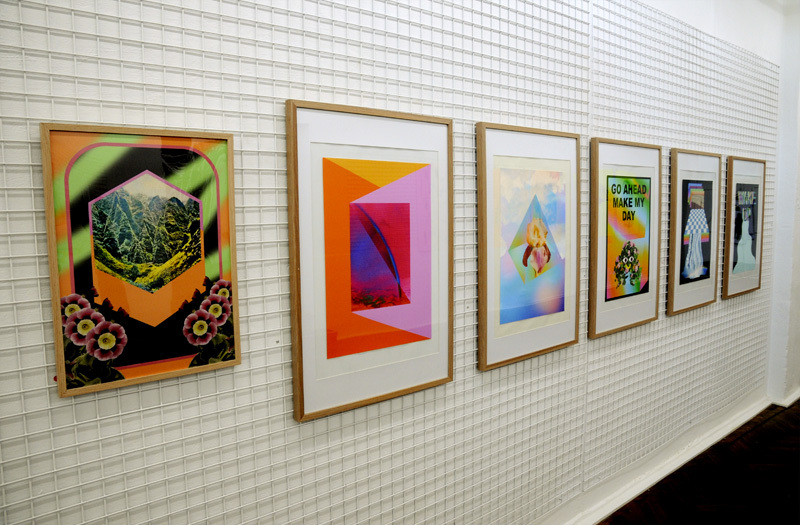 We're sad to say our current exhibition SCAPES has it's final day up on the walls tomorrow! Thanks so much to our many visitors so far - the response has been absolutely wonderful. And a reminder that if you haven't had a look yet, we're open tomorrow Saturday (18th Oct), for your last chance to check it out! Insights into the illustration process from a publisher's perspective. Join us 5.30 this Thursday, Sept 1 for a conversation with SCAPES curator and publisher Margrete Lamond. Margrete and Ludlow gallery director Sonny will be discussing the themes of the show, how it came to be and Magrete's extensive career as a publisher and editor of story books. My memory is terrible, but I have vague recollections of drawing some pretty good whales spouting water through their blowholes for a school project about water. I’m pretty sure it was for the cover of the project, and I may have spent more time on the cover than the actual content! 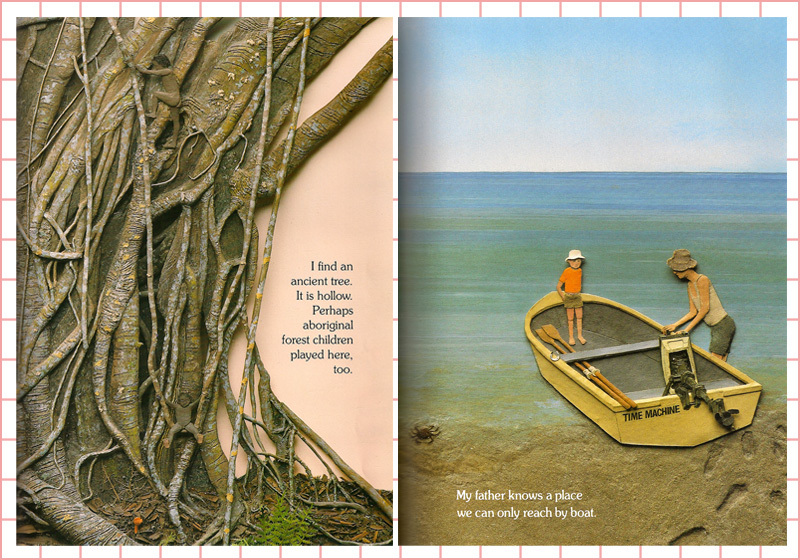 My favourite picture book was probably Where the Forest Meets the Sea by Jeannie Baker. The combination of unique illustrations and an evocative narrative resonated with me. It’s great knowing that the books I make can impact young lives for the positive. It’s always nice to get an email or letter from a teacher or child who’s been inspired by what I do. In terms of creating images for the books, I just try to make artwork that’s as equally appealing to parents as it is to children (after all, parents are the people buying the books!). I try not to think about who’s going to be reading the books or what age they are, just that they’re stimulating to a wide audience. It was pretty exciting going into a bookstore and seeing my book on the bookshelves amongst other picture book authors and illustrators I admire. "A Forest" self-published 2008, and "A Forest" Penguin 2012. Right now I’ve been listening to the new Radiohead album a lot, and going through their back catalogue. They’re one of those bands that has been consistently good at what they do throughout the years, and always exploring and pushing boundaries - something I’d like to try and do with my own practice. Come along on Friday (19th August) at 6PM as we launch SCAPES, featuring three beautiful prints from Marc, along with many other show-stoppers! We first fell in love with Marc Martin when we saw his illustrations for "A Forest", in, (I think) 2008. They were displayed in a Melbourne gallery, having won some serious design awards and we were immediately hooked. That book has since been re-published by Penguin, and Marc has continued to create more books and illustrations that hold our heart. He has such a great design ability with striking compositions that are rendered in beautiful watercolour splashes of colour. The dynamic between detail and space, geometric and organic, is breathtaking. It's also interesting to watch his beautifully tactile work translated to the digital realm via the iPad puzzle "Night and Day"
Image © Marc Martin, from the "Night and Day" iPad puzzle. You can follow more of his work and get daily updates of beautiful sketches and finished works via his Instagram account. And then join us this Friday, 6PM, 19th August to view a selection of prints at the opening of Scapes. Jonathan has also taken some time to answer our Artists Questions - and providing a super cute badger pic! I was at primary school and I made a collage of a badger. The Adventures of Uncle Lubin by W Heath Robinson. A wonderfull, silly adventure fully of whimsy and folly and the most beautiful black and white illustrations. My books tend to be for quite young children and they are my inspiration. There enthusiasm and excitement about life is just brilliant. If only we could bottle that spirit! I think the reason I find myself writing and illustrating picture books is because I've never really grown up. I am still waiting for Jeremy Fisher to walk through the garden gate. In my head yes, it keeps me young by trying new things, and always continually learning. However, sitting bent over a drawing desk for hours every day is probably not helping. Until that moment, all you have are a bunch of drawings usually sitting in a pile but then when the book arrives and you hold it in your hands as a real three dimensional thing it is very special moment. The fist one was even more special. And lastly, can you let us know what's currently in your CD player/ on your Turntable/ in your Spotify queue? To be honest, I tend to listen to ABC classic FM but favourites I always turn to are anything by Bjork or the Gorillaz. I seem to be drawn to strange narrative worlds even in music. Thanks for your time, Jonathan! Come join us 6PM this Friday August 19 as we open Scapes and explore some of Jonathan's energetic landscapes from his next book,"Blue Sky, Yellow Kite". Brisbane (by way of Sydney, London and Brighton) artist Jonathan Bentley, illustrates for both editorial and picture books. His subject matter is therefore quite varied, but a lovely looseness of line, offset with bold compositions and colour choices unites these diverse works. The Courier Mail in Brisbane has published his images for over a decade, and with over 20 books for children to his name his portfolio is wide ranging and we find it fascinating that he covers both quite serious news stories as well as creating such uplifting and joyous picture book images. We love the warmth in his his mixed media picture book illustrations - the character and lightness that he conveys with a masterful balance. Please join us at 6PM Friday 19th August at Ludlow to discover more of Jonathan's work in Scapes. Image © Jonathan Bentley from his picture-book "Little Big"
A loaf of bread on the wall above my bed. My parents’ (hidden, but not well enough) doctor book; it gave me nightmares. Armin Greder, from "The City"
The same as exciting old minds, and no, i don’t, but neither did I consider myself an adult when I was a child. I think it keeps me the age I am. Glory. And then consternation when it didn’t win the Book of the Year. Nothing. I am writing this in a hotel room in Teheran. A big thanks to Armin for answering our quick questionnaire. Join us at 6PM Friday August 19 for the launch of Scapes and to take in the impressive prints contributed by this commanding artists. Armin Greder creates powerful picture books with dense charcoal images that are disarming, honest and alluring. 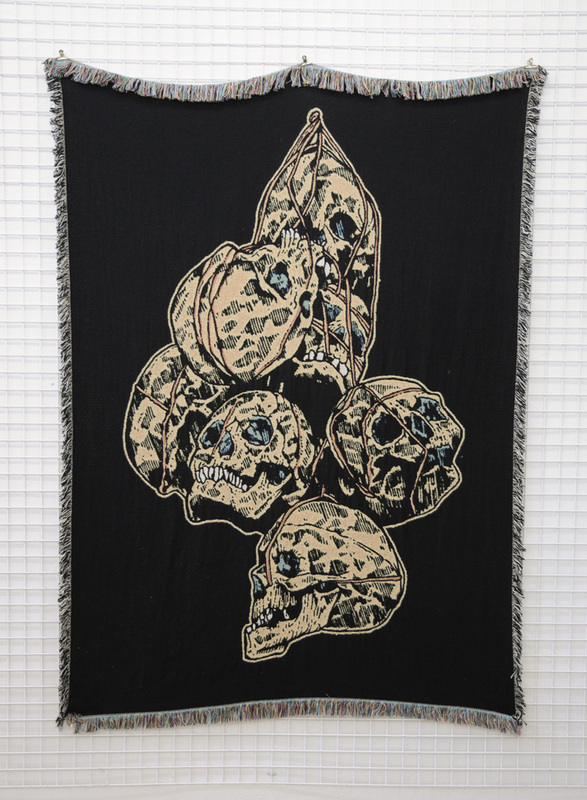 His history wends it way around the globe; born in Switzerland, working in graphic design and teaching in Australia, drawing in his studio in Peru, answering our artists questionnaire from his hotel room in Teheran. This article on and interview with him is a great place to jump in and discover more about this enigmatic artist: http://www.playingbythebook.net/2016/05/10/an-interview-with-armin-greder/ , then join us at 6PM August 19th at Ludlow to launch Scapes and view some of these beauties in real life.